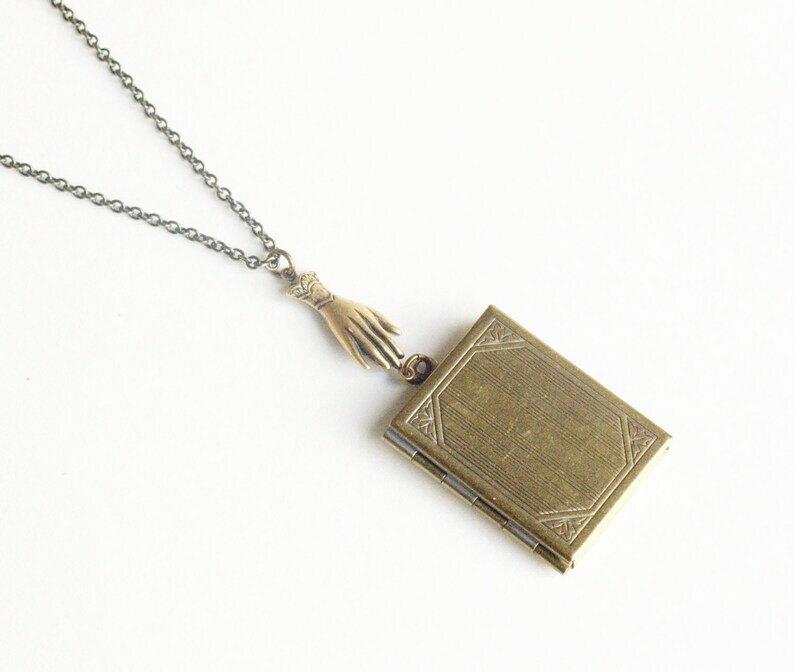 Victorian style book locket necklace. The locket measures about 1 1/2 inches tall. Brass chain measures 20 inches long. Any length is available upon request for no additional charge, just add a note when checking out! I LOVE this necklace. It's quite difficult to fing authentic vintage jewelry of this style, so this is an amazing replica.